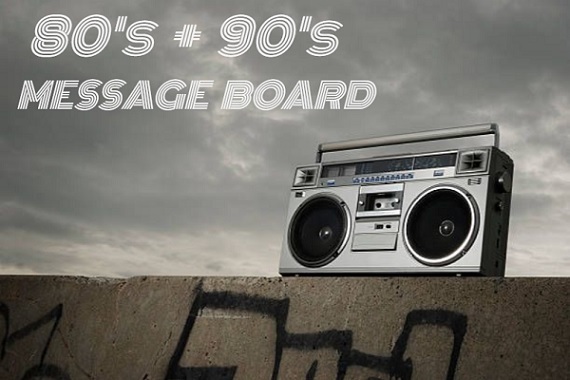 Wonder Woman Message Board - Wonder Woman #37: Do YOU give it a pass? Subject: Wonder Woman #37: Do YOU give it a pass? > “CHILDREN OF THE GODS” part five! 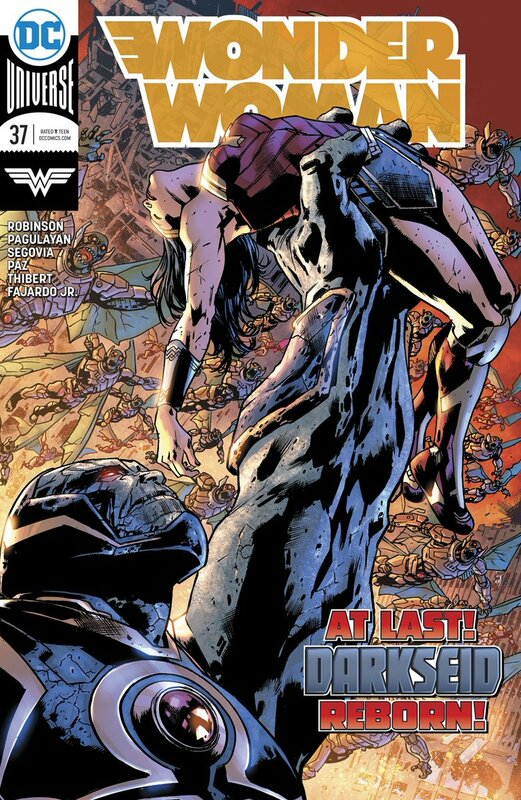 As a fevered battle with Darkseid rages between Wonder Woman and the dark god, the Amazon warrior must choose between saving the lives that hang in the balance and ending the threat before her forever. Jason fails (and fails family). Trevor fails to contribute (or even appear). Darkseid's rebirth chronology footnoting fails. On the other hand the overall conclusion (and development) was serviceable (if inevitable). Although those last panel acts of contrition and forgiveness seemed awfully... rushed. Do you give it a pass? The 2 covers certainly do. On the one hand I feel I should be giving this a respectful pass and move on with a dignified silence. As for a story that is not much more than James Robinson working with pre-existing characters and plots, and a climatic chapter seen here that is literally one long fight scene, what IS there to talk about in Wonder Woman #37 exactly? One can point to the slick artwork from Carlo Pagulayan and Stephen Segovia, of which is certainly impressive in its way. 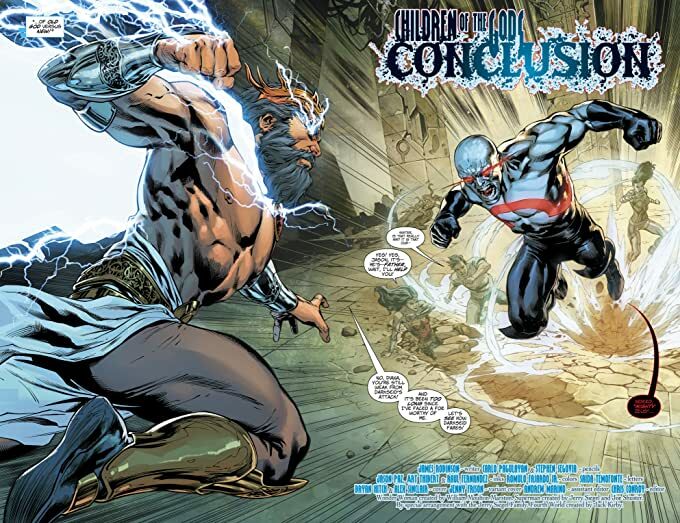 One can ponder the appearance of the long absent Zeus, of whether this is still of any connection to Brian Azzarello's long running subplots which ended with Baby Zeke being revealed as a reborn Zeus. One can wonder whether any of this story makes any real sense when you examine what there actually is of it. Or one can look at the whole narrative and see it as a study on the inured need for a family for the ostracised and lonely individual, any family, and how misguided and single minded such an aching need for belonging can make one person. As extraordinary as they are the characters of Grail, Diana, and Jason are all fit this social description, all being just as human emotionally as the normal everyday person. James Robinson's storyline when taken as a whole doesn't seem to actually have a great deal of substance to it no, so rather than discuss his continuation of other writers plots and themes it might be more engaging to look at this story in terms of character, Robinson sets up his various players by making the theme underlying events to be about family - the corrupt Grail and her near fanatical devotion to Darkseid is a left over to Geoff Johns' Justice League work, as is Wonder Woman's hitherto unguessed lost brother - somewhere out there waiting to be found. Robinson's first storyline on Wonder Woman would preferably have been something original, something that brought a fresh direction to Diana's life and some new ideas to the book. But what we have is very telling, a writer who introduces not one single new idea or character into his debut on the series, and is satisfied in the easy access and use of pre-existing plots and materials. This would be the point where I would give Robinson the benefit of the doubt and suggest this opening story was editorially decreed, Next issues promise of The Silver Swan's return would seem to put full pay to that suggestion however. Robinson's intent would seem to be to show how blind and dangerously misguided familial loyalty can make some people, and Diana's absurd claims that she could, and would, have defeated the Darkseid that had just defeated and killed her almighty father supports that suggestion of how dangerous fanaticism can be to one's relatives, yes, this seems to be the writers aim. And yet, does any of it make true sense? Robinson is asking the audience to accept that Diana's need for a family (entirely plausible given her loneliness and isolation in our world) has led her to pursue her long lost brother, weather his betrayal of her to Grail and Darkseid, and ultimately adopt an instant and fanatical loyalty and love for an equally long lost and never-met-before father who arrives from nowhere and with no apparent motive for either being here or doing what it is he is doing. A parent who is as legendary for his infidelity, deceit, and cruelty, as Zeus is would surely not earn such instant and unconditional devotion from a woman, particularly a Woman as knowledgeable and supposedly wise as Diana. Certainly the fact that her 'father' arrives at just the right moment to be saviour to both her and her newfound Brother might inspire her to automatically favor him, to be impartial as to the why and how of his abruptly being here. 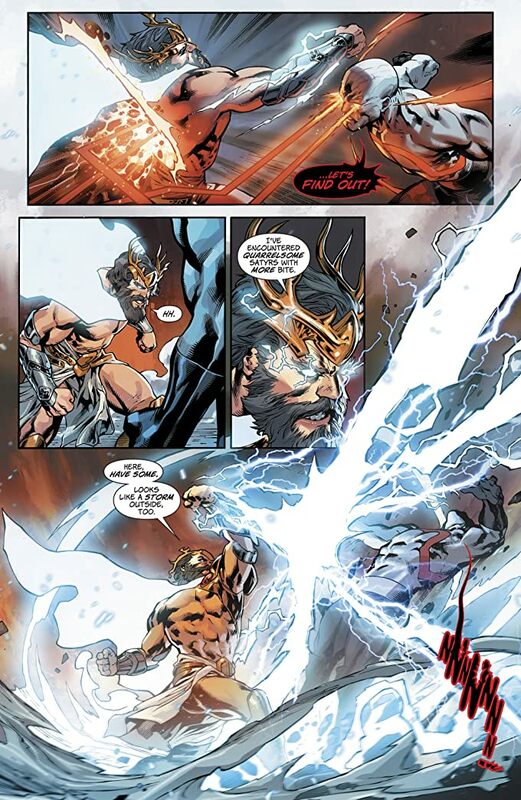 But within the context of James Robinson's storyline and what we know of Diana's past with her Mother and the absent Zeus the depth and unyielding single mindedness of Diana's instant devotion to her never before seen father is an aspect which does nothing to earn her the respect of either the reader or act as a fitting closing scene to this first storyline from Robinson. As Robinson is in effect trying to impose a relationship and family bond where there quite simply never was one - Zeus was never an element in her childhood. He had no place at all in either her development or her understanding of whom her nearest and dearest were. This is no helped by the reality that he was never any element in her fictional background as we, the readership, knew it. Robinson fails to realise that in terms of any organic characterisation and natural interaction between characters an established link has to pre-exist between the players involved. And in this case it is a serious misjudgment from the writer as the climax to his story is entirely hinged on just such a detail. All it is is an end. Nothing here is satisfactorily resolved as Darkseid gets what he wanted and everybody merely walks away from the other, the game to be picked up again some other day... it's hard to imagine this story being of any future noteworthiness in James Robinson's future resume' as what story there is is barely worth a discussion. It was still very good to see darkseid restored to his former glory, as he is really the main big bad now of the DCU. Also liked when he just decided to walk away from the fight, as he got what he really wanted, to be restored to his godhood once again. In any case, this thread caught my interest because I thought, judging by the comic book cover, that this story line was meant to pick up the New Gods threads from Azarello's tenure. Apparently such is not the case, unfortunately. Too bad. 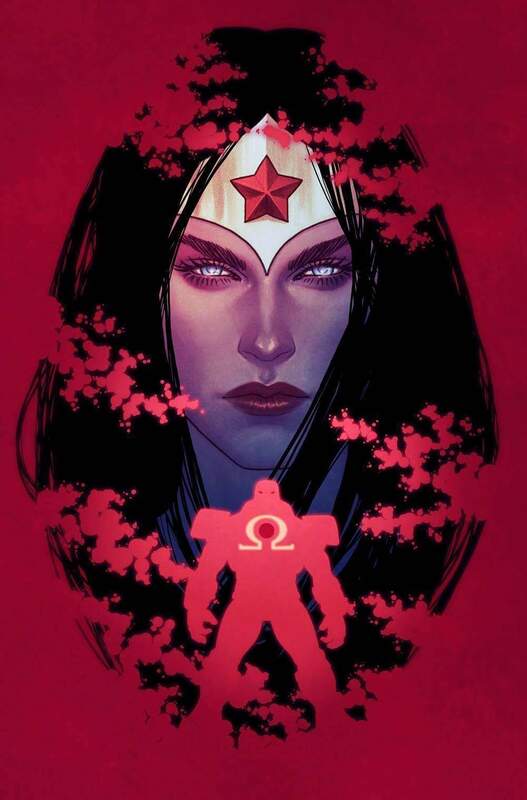 Back in Azarello's run, right when I was about to start reading Wonder Woman again because the New Gods seemed to be taking a prominent position in Diana's story, we got instead the stupid romance between Diana and Clark, and the New Gods story was forgotten. I would have loved to read about Diana and Orion as a couple. There was so much story potential there. Instead we got Diana and Clark. Yawn. There was never any possibility that Clark would ever be separated for long from his classic love, Lois Lane. Diana and Clark were never going to be anything more than a very temporary gimmick - which by the way was dragged out for a surprisingly long time. But Diana and Orion had real potential to be a love story for the ages. Oh well. Not to be, I guess. The concept of her getting tangles up witha new god war between Darkseid and Orion though would be intersting, as maybe Seid wants toi kill off all of her old gods? 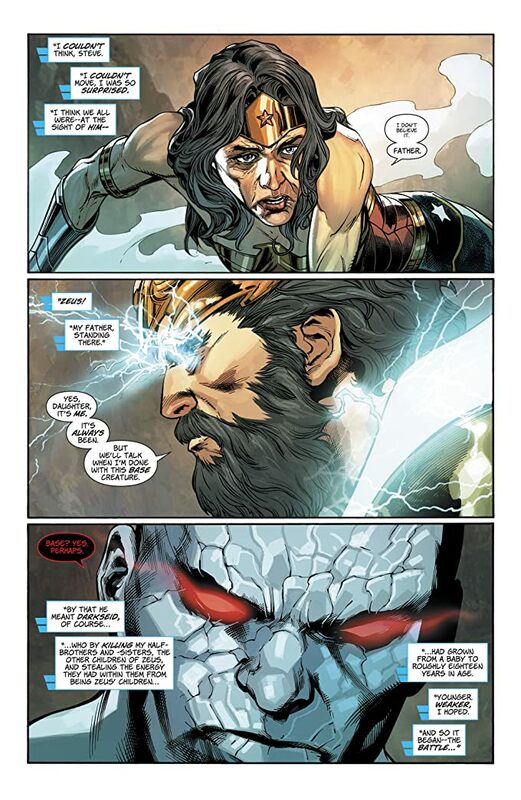 The concept of her getting tangled up witha new god war between Darkseid and Orion though would be intersting, as maybe Seid wants toi kill off all of her old gods? See? That would be a great story! I bet that's where Azarello was headed - or someplace like it. But instead we got Diana and Clark. And once again I stopped paying attention. Honestly? No. I never really liked Orion. Plus, I'm one of the very few fans out there who actually liked the Superman/Wonder Woman romance. To me, if DC would ever allow Billy to grow into an adult, Captain Marvel and Wonder Woman would make the perfect couple. But alas, Billy will always be stuck as a 12-15 year old and never allowed to age. So, that particular pairing will never happen outside of Elseworlds stories. I would actually have liked a Marvel/DC crossover event, when Loki teams with Darkseid in a plot to controlmAsgard and marvel/DC earths!